Radiation levels might rise worldwide. 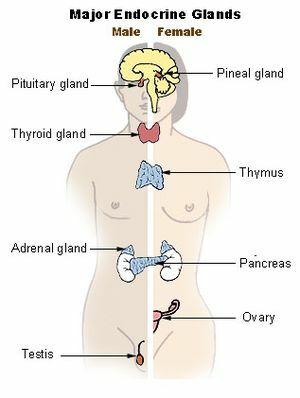 Iodine is essential for a healthy thyroid gland and stored by our body to a large extent in this gland. Radioactive fall out from the reactor disaster in Japan will result in higher radiation levels in our food and the iodine it contains. Iodine tablets ( potassium iodide ) can protect the thyroid gland from radioactive iodine. Against this background this information might become even more important. Fluoride and bromide, having a similar structure as iodine, can competitively inhibit iodine absorption. ﻿﻿﻿Most people in the West are highly deficient in iodine, and this can have negative effects on immune system function, hormonal sensitivity throughout the body and thyroid function. Moreover, in the US are apparently brominated soft drinks on the market, which have been banned in Europe. Taking the iodine tablets shortly before or virtually simultaneously to being exposed to radioactive iodine offers the most effective protection of the thyroid gland. Seasalt contains negible amounts of iodine. Brownstein “However, once bromide is absorbed, it binds tightly to the iodine receptors in the body. In addition, bromine can bind to the transport cells for iodine (sodium-iodide symporter–NIS) and damage the transporter cells. The oxidized form of bromide–bromine–is stored in the fat tissues. Taking iodine in physiologic doses can help to competitively inhibit the binding of bromine. Also, iodine supplementation allows the body to detoxify itself from bromine, while retaining iodine.